Do you save copies of the letters you write? The letters you receive? How would you feel if your old letters were resurrected and made public by a historian or archivist? Would we find they adhered to the conventions of letter writing? What purposes for your letters would we uncover? Through the vast online resources available from EDSITEment, you and your students can read the correspondence of the famous, the infamous and the ordinary, some of whom lived through extraordinary times. 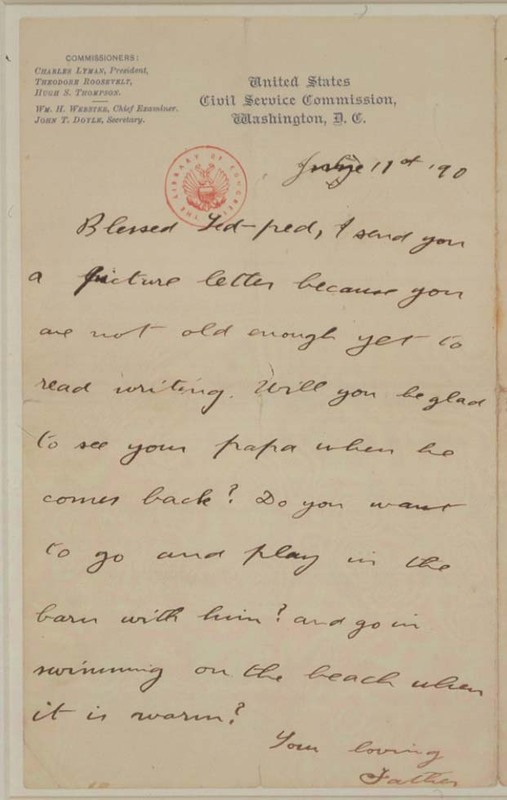 Use these fascinating letters as a starting point for discussion of and practice in the conventions and purposes of letter writing. What are the conventions of letter-writing? How is letter-writing used for various types of communication? After completing this lesson, students will be able to: List at least five conventions of letter writing. Cite at least five purposes for letter writing. Send a letter electronically (if the technology is available). In this lesson, historical letters help you help your students do some real-world writing. Activity 1 provides context and motivation about letter writing in general; Activity 2 provides background on letter writing conventions. Start with these lessons the next time your students have the opportunity to write a letter to a genuine audience. Then use the appropriate lesson from the rest of the lesson to get students started on their letters. Each of the other activities in this lesson(3 through 10) is about a specific kind of letter, such as a personal letter or an invitation. These lessons are not designed to be completed in order. Rather than proceeding through all the lessons one after another, you may wish to choose individual activities (in any order and at any time during the year) as the appropriate occasion arises. For example, if an opportunity for writing a thank you note arises (perhaps after a special guest has made a presentation to your class), use Activity 5. When congratulations are in order (e.g., after another class has performed at an assembly) use Activity 6.
Review the lesson plan and familiarize yourself with the types of letters discussed. Look for opportunities for your students to write letters. When you are going to use a particular lesson, bookmark or download any materials you need to use with your class. Duplicate them as necessary. In preparation for Activity 1, ask your students to bring in copies of letters they have received (or sent) that they are willing to share with the class. The EDSITEment-reviewed website The Digital Classroom offers a series of worksheets for analyzing primary source documents, including written documents, that you may wish to use or adapt to help students in reviewing the materials presented in this unit. Begin by discussing students' personal experiences with letter writing. What kind of letters have they received? What letters have they written? Thank you notes? Letters from camp? Pen pal letters? To whom do they send letters? Who sends letters to the students? How many of the students keep the letters they receive, and if they do, why? Where can one readily find examples of contemporary letters? (The editorial pages of newspapers and magazines provide one example.) Do any students still write letters by hand, or do they only send "electronic" letters (e-mail)? Do they consider it a little more special to receive a letter than to receive an e-mail? If students have brought in letters, allow time for sharing. Pass out to your class a selection of letters such as those listed below, none of which is used elsewhere in the lesson (you can also use any of the letters listed throughout the unit). Give the students time to look them over to learn whatever they can about them; they need not read them (some are handwritten), although they can if they desire. John F. Kennedy: Godfather Letter (written in 1932 at age 14), available through EDSITEment-reviewed Digital Classroom. Letter to John F. Kennedy: Outstanding Young Men of the Year Award (a business letter received in 1947 at age 30), available through The Digital Classroom. Letter from Jack Anderson (chairman, Young Astronaut Council) to Monte Lazarus (Senior Vice President, United Airlines), available through The Digital Classroom. 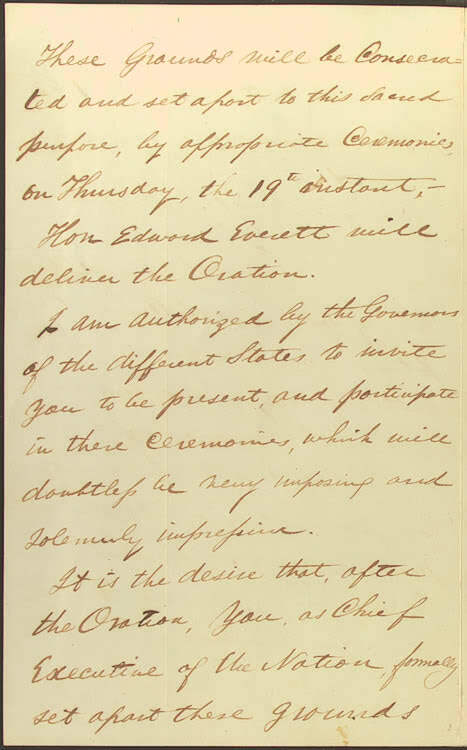 Thomas Jefferson declining an invitation to attend the 50th celebration of the Declaration. This letter can be found in the Library of Congress site in the American Treasures collection, a link from the EDSITEment-reviewed American Memory. Click on the thumbnail for a larger image. Click on Additional Views for page 2. 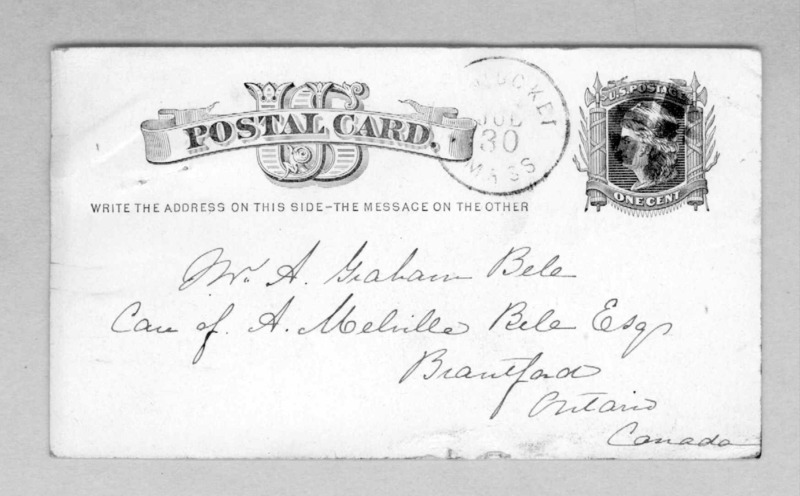 Post card from Mabel Hubbard Bell to Alexander Graham Bell, July 30, 1876. Found in American Memory. Several views of this letter are available: the front, reverse and a transcript. Postcard from Houdini (age 12) to his mother (Houdini's given name was Ehrich Weiss), from the EDSITEment-reviewed site American Memory. The Library of Congress' America's Library collection offers both background information and an image of Houdini. 12/27/1988 letter from Bill Clinton to Ronald Reagan. From the EDSITEment-reviewed The Digital Classroom. Congratulations from Edward Everett to Abraham Lincoln for the Gettysburg Address. 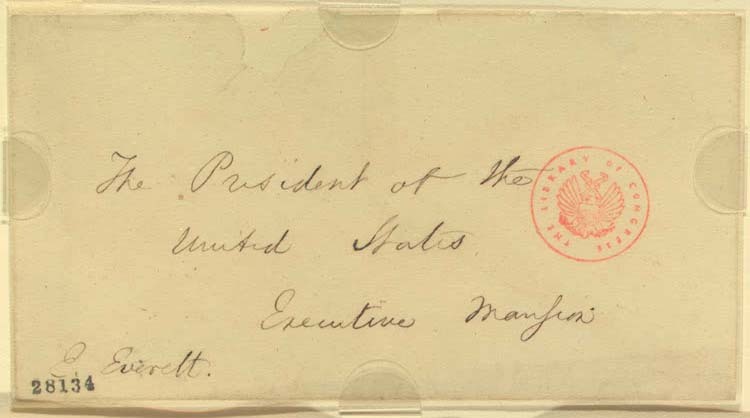 Everett was generous in his congratulations, as his two-hour speech, delivered prior to Lincoln's, was eclipsed by the President's two-minute speech. The Library of Congress' American Treasures collection includes an image as well as background information. After students have had a chance to look over the letters, encourage discussion. Can anyone figure out the purpose of any of the letters (for example: declining an invitation, congratulations, a thank you)? Does anyone recognize the person who wrote or received the letter? As you work through the following letter-writing conventions, write each on the chalkboard or chart paper for future reference. How many of the letters include the date written? Was the date easy to find? Where was it? Why is the date usually included? Do any of the letters NOT have the date? Does each letter have a greeting or salutation (the "Dear X" part of the letter)? Was it easy to find? Do any of the letters show the place from which they were sent? Do any have the complete address? Was the address easy to find? Where was it? Do any of the letters show the address to which they were sent? Was the address easy to find? Where was it? Why is this only in some letters? The address to which the letter was sent was obviously on the envelope, why does it need to be here? How is the letter formatted? What kind of paragraphing (if any)? Indented? Block style? How many letters had some sort of closing (such as "Sincerely")? This letter is in the tradition of the friendly letter. What conventions of letter-writing did Mr. Roosevelt follow? If the class is associated with a younger class (reading buddies, for example), students could, like Roosevelt, write picture letters to their young friends. Either the teacher or the class should decide what conventions will be obeyed for this writing assignment. Sometimes we write to someone because something extraordinary has happened. On Oct. 8, 1871, a fire started on the Southwest Side of Chicago. It raged for more than 24 hours, wiping out the downtown. It killed at least 300 people, left 90,000 homeless, and destroyed about $200 million worth of property. One witness to the fire was a young boy named Justin, who would have been, at that time, about the same age as your students. Distribute copies of the letter Justin wrote to his friend Philip, October 19, 1871. The EDSITEment-reviewed site The Great Chicago Fire and the Web of Memory offers both background information and a digitized letter and transcript. What happened to Justin that day? How old does he seem? What evidence can students cite to support their assumptions? Does the letter contain any of the conventions? Does it contain any errors? How do you think Justin would feel to know people are reading his letter more than 100 years after he wrote it? What would you have written back to Justin if he had been your friend? Students could try writing such a letter. Or, they can write a letter to a friend when something extraordinary happens at school, such as a field trip or a visit by a dignitary. It is customary to send a thank you letter upon receiving a gift. It's expected that the letter will say more than just a thank you. Pass out the letter (written September 29, 1942) from John F. Kennedy (age 25) to Clare Boothe Luce, thanking the congresswoman for a good luck coin. Click on the image for access to the entire document in a larger version. Read the letter aloud. How did Mr. Kennedy thank the congresswoman? Why was he happy to receive a good luck charm at that particular time? (He was going into the Navy during World War II.) What conventions does the letter follow? Judging from the way he writes, what was the relationship between Ms. Luce and Mr. Kennedy (friendly, informal)? Students can write thank you notes when appropriate (for example, if they receive gifts from a visitor or another class). When someone accomplishes something extraordinary, it is customary for friends and relatives to send a letter of congratulation. As with the thank you letter, simply saying congratulations is not enough. 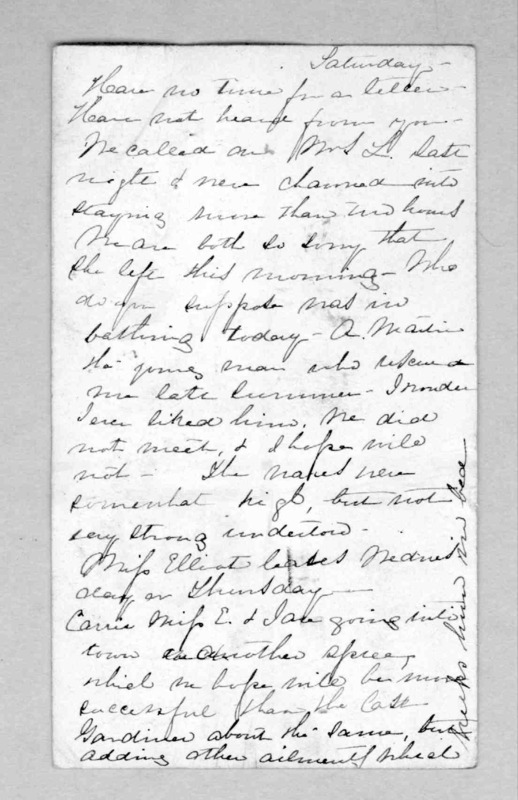 Pass out the transcript and image of a letter written by Owen Lovejoy to Abraham Lincoln, June 10, 1860. Students can write a letter of congratulations when, for example, another class puts on a successful play. In more formal situations (which are not always related to business), convention demands the use of the business letter format, with an inside address and a colon replacing the comma in the greeting. It also demands a more formal tone. In 1935, Walter White, then the leader of the National Association for the Advancement of Colored People (NAACP) wrote a letter to American athlete Jesse Owens, asking Owens to refuse to attend the 1936 Olympics if they were held in Germany, which was under the rule of racist policies established by Adolf Hitler. White's letter was never sent. Owens did attend the Olympics, winning four medals and embarrassing Hitler in the process. The letter is available through the EDSITEment resource American Memory, in its collection The Depression, The New Deal, and World War II. What conventions does the letter follow? Help the students become aware of the formality of the prose such as, "Will you permit me to say...." Students need not read the entire letter to understand the differences between this formal letter and a more informal note like the letter from John F. Kennedy to Clare Boothe Luce, referenced in Activity 5 above. Your students have a number of opportunities to write business letters, such as when requesting free materials from a state they are studying. Through a link from the EDSITEment-reviewed American President, students can send e-mail to the President, First Lady, Vice President, and wife of the Vice President through the White House for Kids page. Discuss with the class the conventions they should follow and the tone you feel is appropriate for this type of letter. Through American Memory, you can access form letters used as invitations by Thomas Jefferson. What conventions does this simple form letter follow? 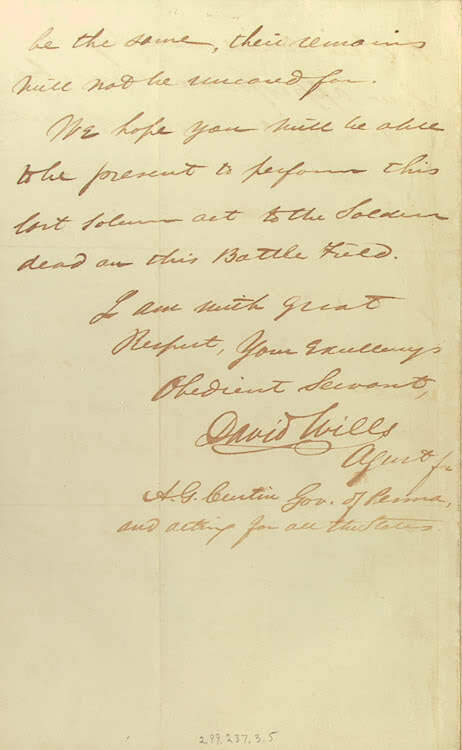 As a contrast, you can share the letter from Judge David Wells inviting Abraham Lincoln to the dedication of the cemetery at Gettysburg. Through a link from the EDSITEment resource American Memory, you can find background info, the letter's first page, second page, last page and personal note enclosed. The students don't need to be as formal as these examples in writing an invitation (for example, to parents inviting them to attend a class presentation or play), but they might want to imitate that formality for a very special occasion, just for the fun of doing it. 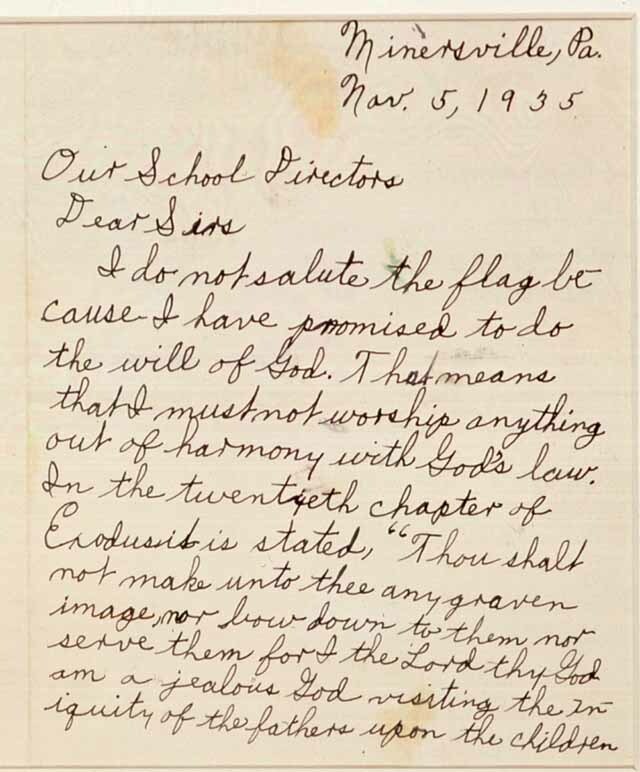 In 1935, Billy Gobitas, a ten-year-old student and a member of the Jehovah's Witnesses, wrote a letter to the school directors in Minersville, Pennsylvania, explaining why, because of his religion, he was unable to salute the flag. 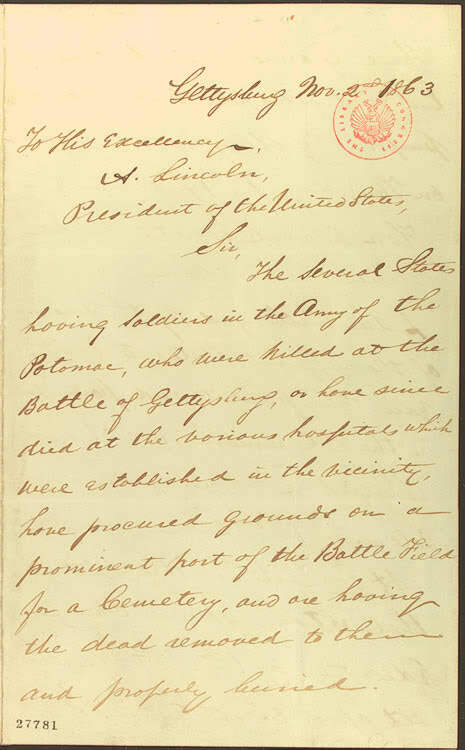 The letter is available through a link from the EDSITEment resource American Memory. You'll find background information, page 1 and page 2. 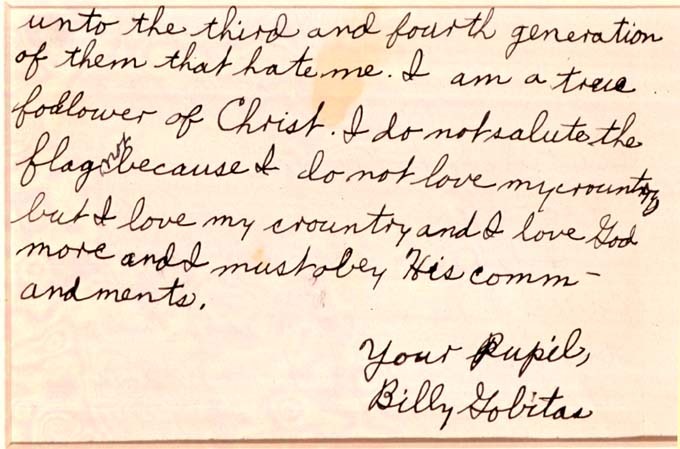 What conventions of letter writing did Billy follow? Notice the polite and understated tone of the letter. If class members have some matter they would like to protest, they can write to their congressional representative through the EDSITEment-reviewed site CongressLink. Discuss with the class the conventions they should obey and the tone you feel is appropriate. Postcards remain a popular form of mail, and electronic postcards have also gained popularity. Search American Memory for the exact phrase "Postcard from O. H. Thomas to Alexander Graham Bell" to find a note sent September 29, 1885, in which Mr. Thomas expresses fear about the value of his Bell Telephone stock. How do postcards differ from letters? What conventions of letters do they obey? Students can send an electronic postcard to a friend through the Library of Congress' America's Library. Students may know of other websites that offer electronic postcards as well. If the class can access technology in small groups, students can search for letters on specific topics of special interest, or letters written by specific individuals who have been or are being studied by the class. Groups can report to the class on the content of the letters and how they reflect the events or individuals involved. Using American Memory or The Digital Classroom's Digital Copies Search engine, for example, students can search using the word "letter" and the name of a historical figure or event. See also the list of other sites containing letters in the list of EDSITEment-reviewed websites. Your school library undoubtedly contains biographies (and perhaps autobiographies) covering the childhoods of historical figures. Students may be interested in comparing the information they find there with the autobiographical details they can discern from letters. For example, in the EDSITEment-reviewed Martin Luther King, Jr. Papers, students can find letters King wrote from about age eight to age 15. 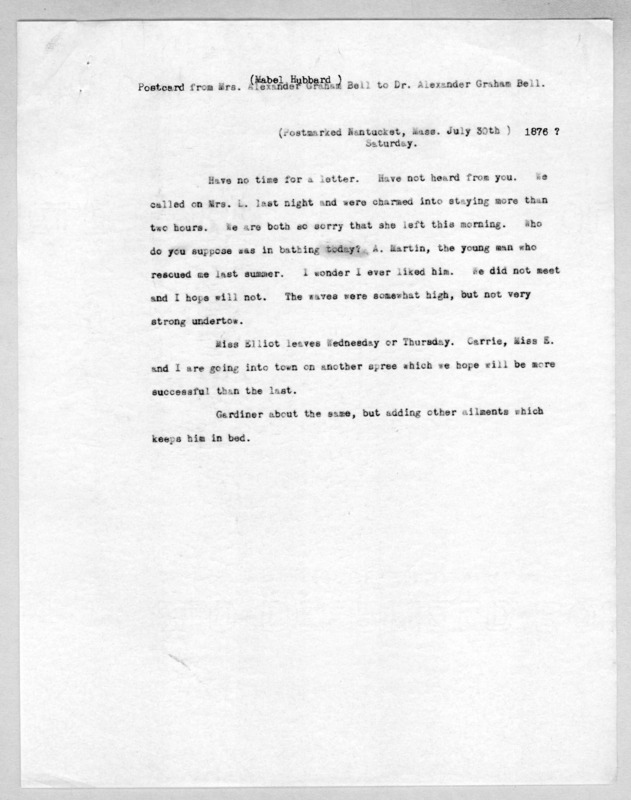 Students can develop stories of historical fiction around a letter or series of letters, such as the slave letters available from the EDSITEment-reviewed Documents of African-American Women. 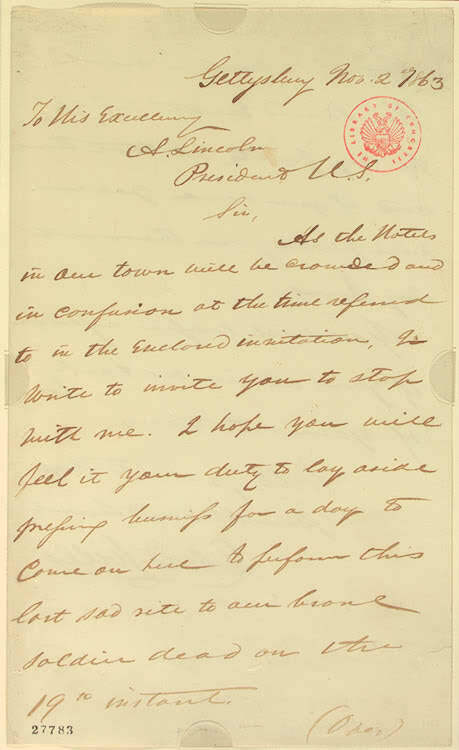 Of particular interest are letters written by the enslaved Vilet Lester. Fiction can also be written in the form of letters from characters in a book your students have read. Letters can also serve as powerful material for dramatic readings. The families of some students may preserve important correspondence. 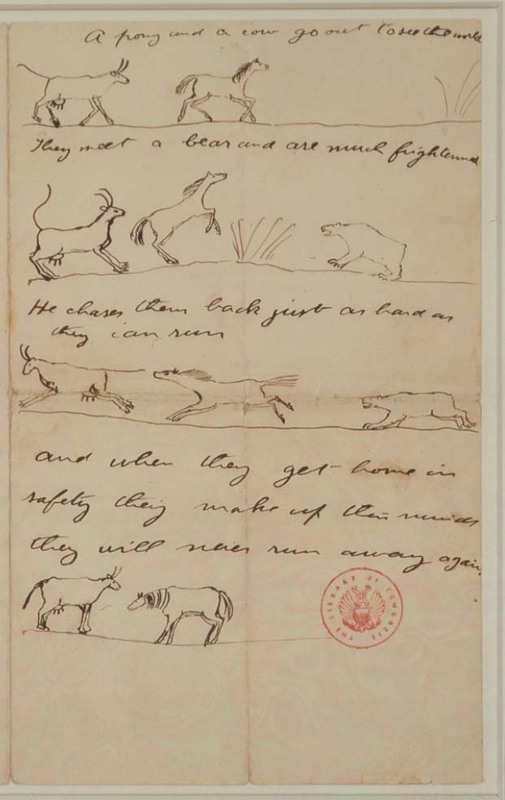 Students can conduct their own genealogical research through such letters. Why have their families kept such letters? How do they relate to important events in the family?